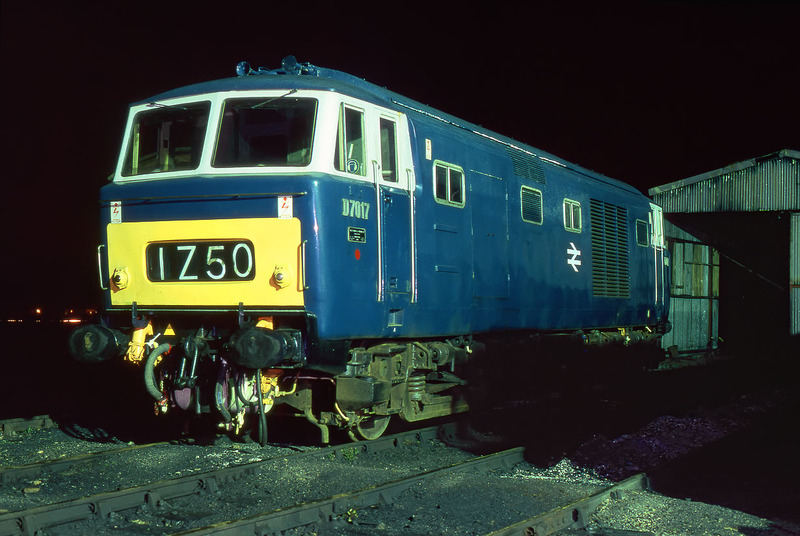 D7017 stands in Toddington Yard, on the Gloucestershire Warwickshire Railway on the night of 11 November 1995. The loco was on short term loan to the railway at the time. Apart from the yard lights, the only sign of habitation are the lights of the houses on the Toddington to Winchcombe road, which can be seen across the fields to the left of the loco.